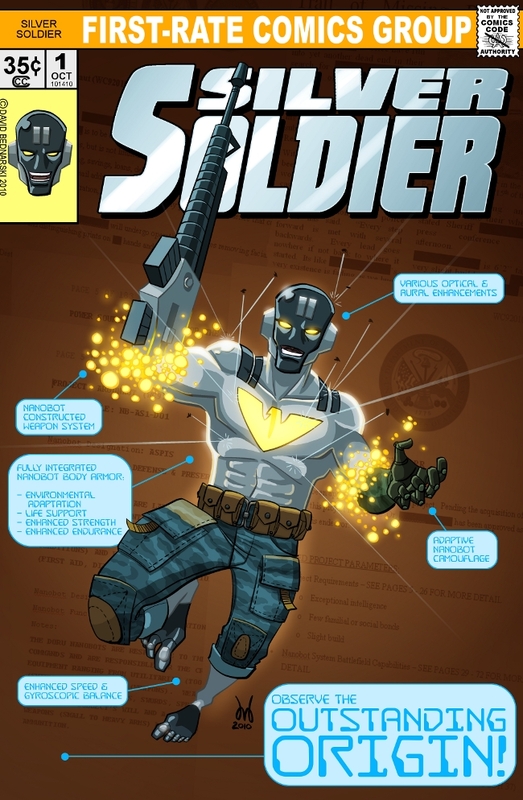 I was commissioned to illustrate Roy Johnson's comic, The Sentinels #267. The comic is currently on Kickstarter! Your support is appreciated! A splash page for a book featuring a character I quickly created using my Random Name Generator. A cover for a comic featuring the Egyptian warrior goddess Sekhmet as a comic character. A splash page for my take on the public domain character Purple Claw. Cover based on my reimagined Captain America. 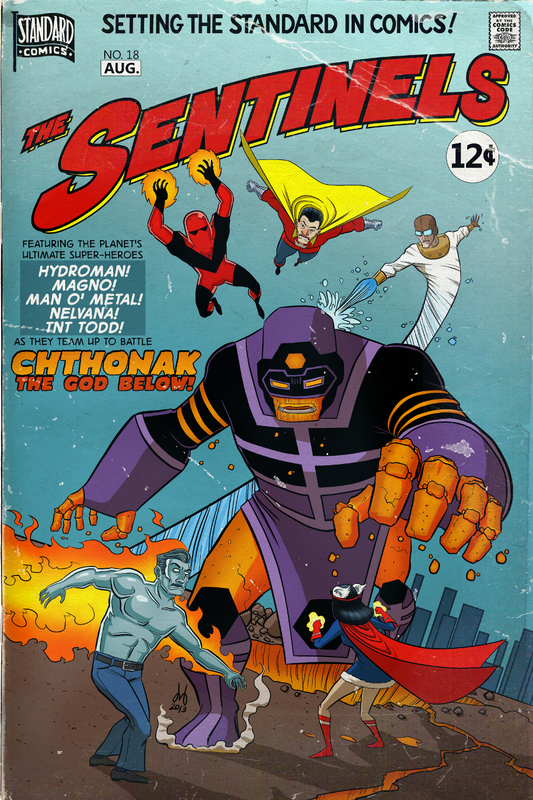 An old comic book cover commission for Roy Johnson of his superhero team fighting Chthonak (designed by me). Additional commissioned works can be found HERE. All characters are the property of Roy Johnson. 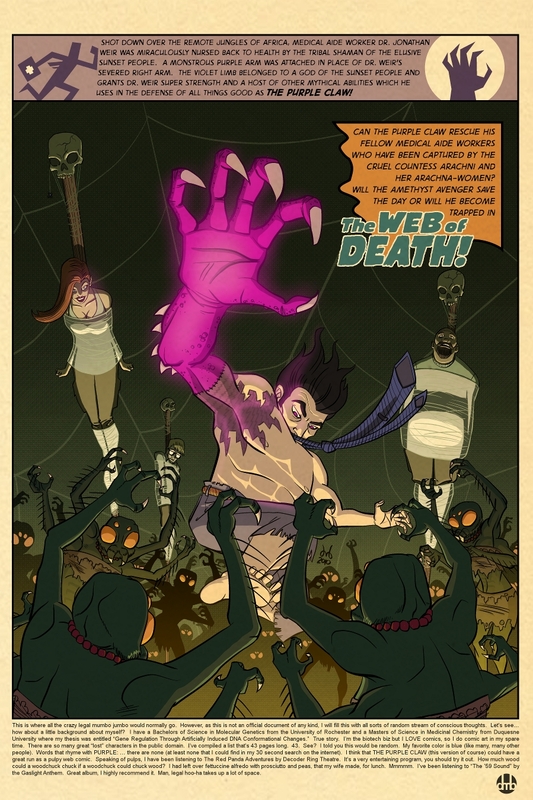 Origin comic written by Roy Johnson with character design and illustration by David Mikle Bendarski (me). Khronocide, the distinctive likenesses thereof and related elements are trademarks of Roy Johnson. Cover for Prisoner of None #1. 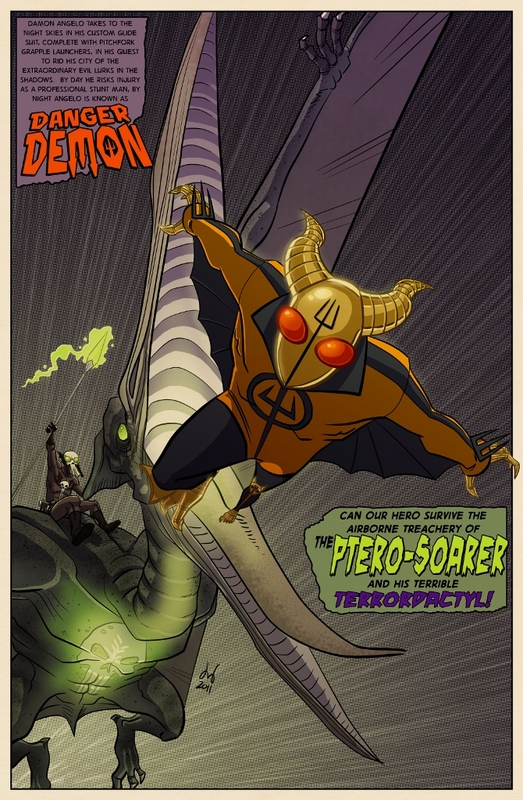 Origin of the main character of the Prisoner of None comic. Page 1 of Prisoner of None #1. 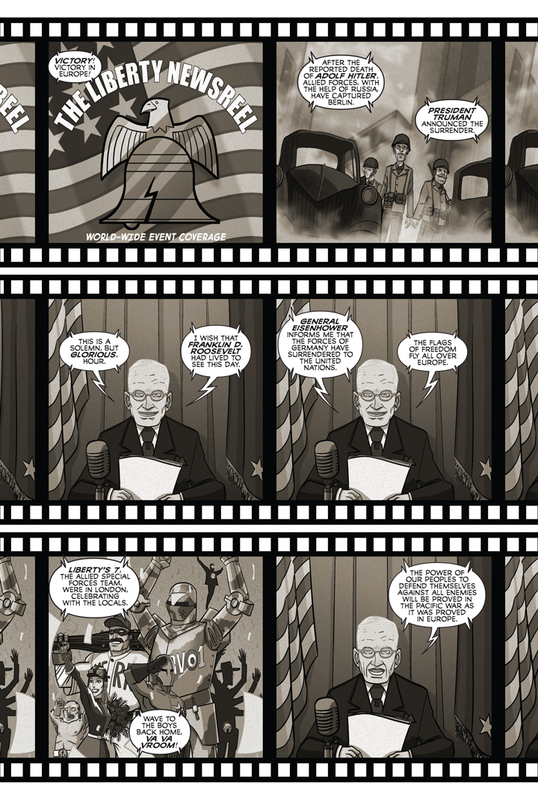 Pages 2 and 3 of Prisoner of None #1. 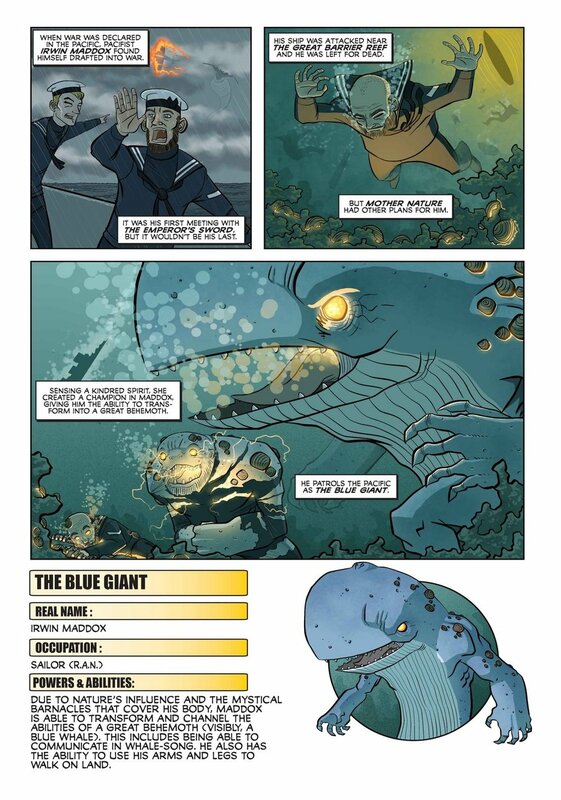 Origin of the Blue Giant from the Prisoner of None comic. Origin of the Planetarian from the Prisoner of None comic.